It’s a hot summer evening. The kids are wolfing down a treat dinner of fish fingers, chips and peas. Or more accurately they’re wolfing down the fish fingers and chips. The peas lay unloved, untouched in a disdainful pile. I know that I don’t have to worry about each individual pea, but I’d still quite like my kids to eat their vegetables. I know that I shouldn’t pressure my children into eating food that they don’t want to. I know that pressuring children to eat has negative consequences. The most frustrating thing is that they really love peas. I dash into the kitchen. I return with a little pot of tooth picks and the children spend the next 15 minutes carefully stabbing the peas individually. Pea after pea after pea. 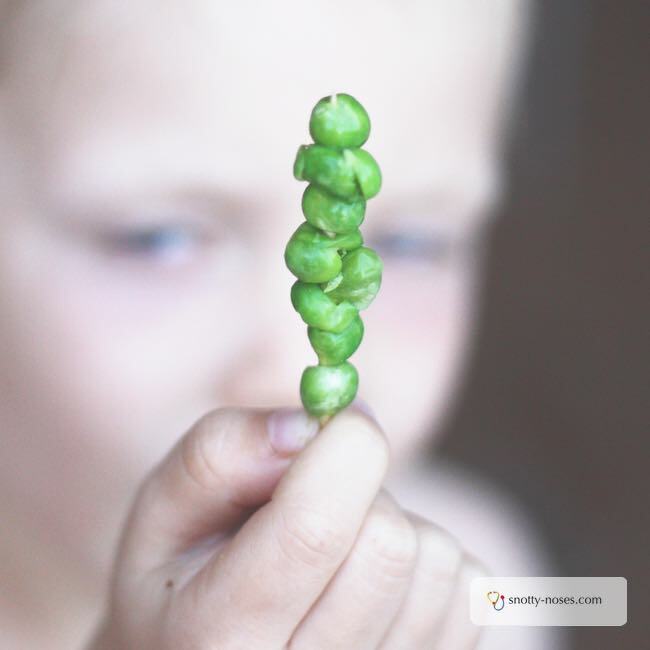 We experimented on hard peas. Not so successful. And raw carrots. Totally impossible. But they had great fun and ate their peas willingly, without a single prompt. Plus it was a great way to practise their fine motor skills. Bonus. 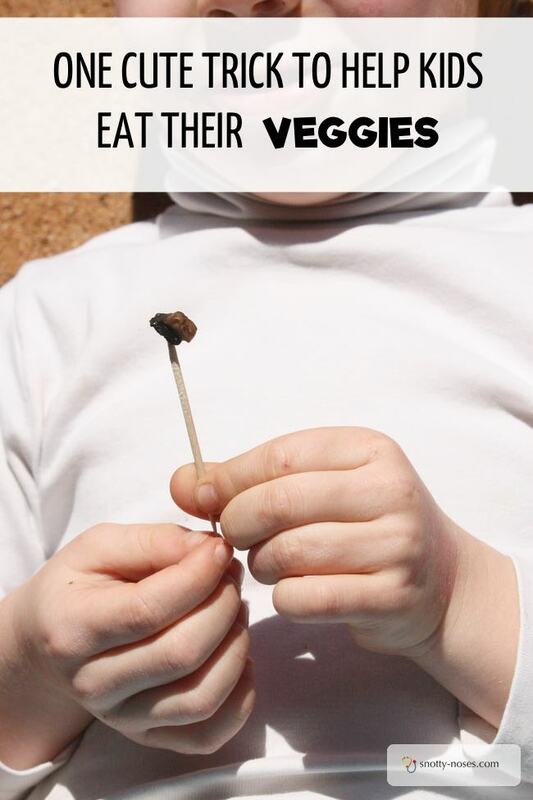 Using tooth picks is a really simple way to make eating vegetables fun. A word of caution, if your kids are anything like mine, even tooth picks can be turned into a weapon. As soon as they were done eating, I put the tooth picks safely out of harm’s way. If you find it really difficult to provide healthy snacks for your children, here’s the perfect answer. My simple guide to how to make snacks healthy will show you how to make easy and simple snacks that are healthy. Simply enter your email address (which will sign you up to my newsletter). You’ll receive your guide plus you get weekly tips from me to help encourage you. If you ever want to unsubscribe, there is a link in every email.